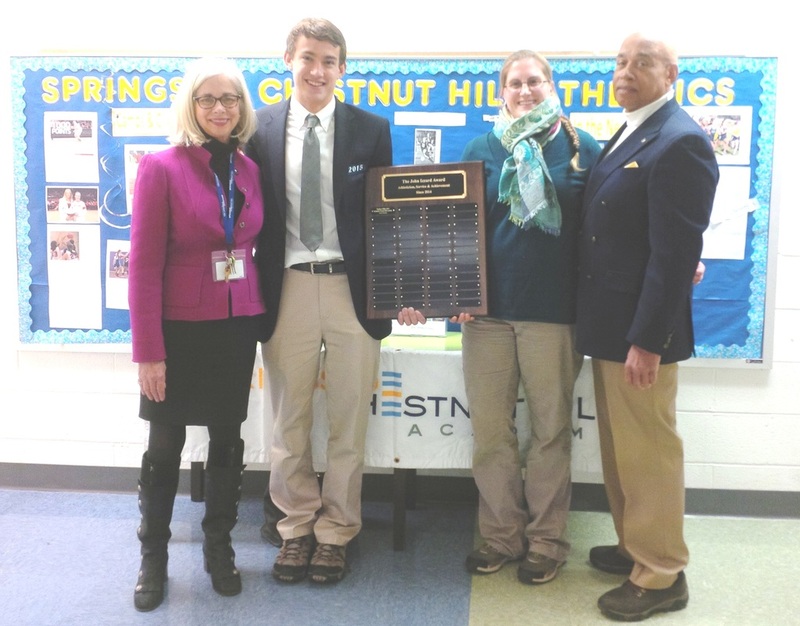 ﻿﻿Matthew Miller, presently a senior at Springside Chestnut Hill Academy, was recommended by his rowing coach Meredith Mariani, the Men's Head Rowing Coach. He certainly exhibits many of the characteristics of the man John Izzard, in whose honor the award was created. Matthew is an exceptional sculler, having 6 medals at the time of his application: Spring 2012: Bronze at the City Championships: Novice 4x; Spring 2012: Gold at the Dr. White Regatta: Novice 4x; Fall 2012: Gold at The Bill Braxton Regatta and The Frostbite Regatta: Junior 2x; Spring 2013: Silver at The City Championships: Junior 2x; Fall 2013: Silver at The Frostbite Regatta: Senior 2x. 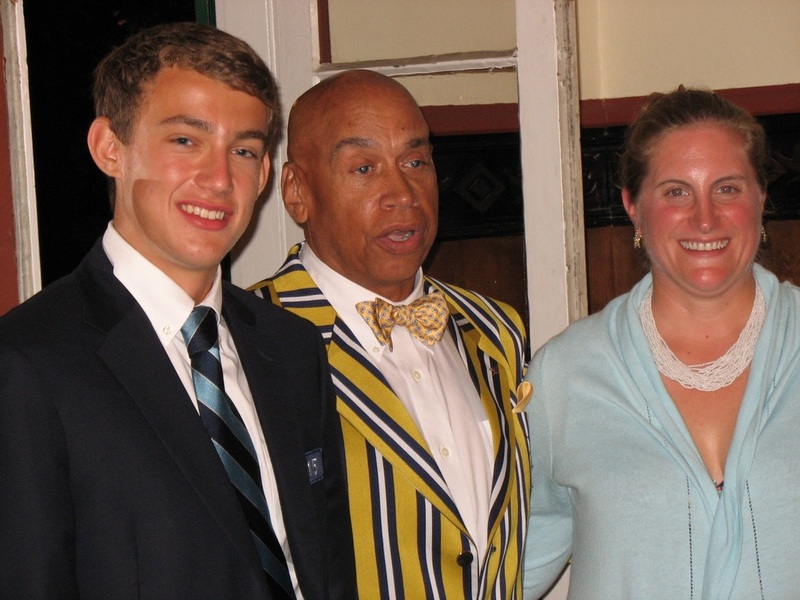 Not only is he an excellent sculler but he helped to create his school's swimming program. He is an avid swimmer and participant in triathlons. Matthew inspired and spearheaded his school's service project trip to Cambodia to volunteer their services. Last school year, Matthew had a 4.0 average where the majority of his courses were Honors courses with one Advanced Placement course. Matthew is a potential future renaissance man truly embodying the essence of John Izzard's characteristics. 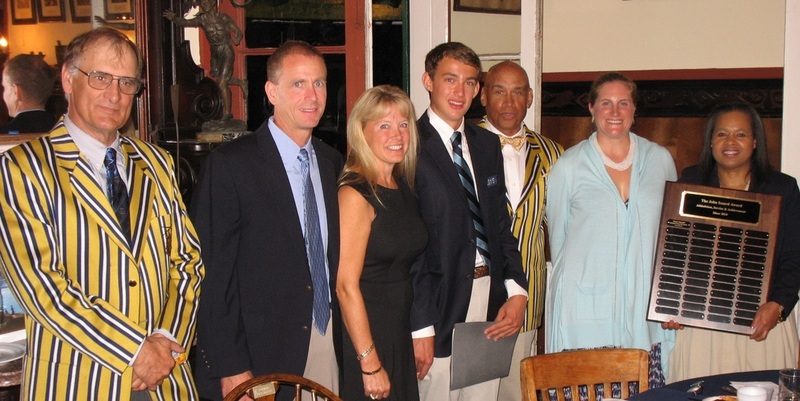 He received his personal trophy at the 2015 Schuylkill Navy Awards Banquet and will be participating in the 2015 Undine Barge Club's Summer Junior Rowing Program as part of the Award. See next page for 2015 Schuylkill Navy Banquet photos.